Sometimes we get sick, and in order to get better, we need to go to hospital. Schneider Children’s Medical Center was built especially to help you children return to your home and to your friends as quickly as possible. You probably have a lot of questions such as when will I get better, where will I sleep, who will take care of me, are there any games to play with, and so on. To help you, let’s take a short tour of the hospital. Ready? Here we go! Schneider Children’s is the only medical center of its kind for infants, children and adolescents in Israel and the entire Middle East. We use the most advanced medical equipment in the world and our doctors are all specialists in pediatric care and trained at the best medical centers in the country and in the world. They will do their utmost to help you get better quickly. Schneider Children’s treats children from Israel but also from other countries. This is a chance for you to meet new friends from far away and exotic places, friends with whom you can chat and play. You will receive special attention from the very first moment you arrive at Schneider Children’s. You and your parents will be welcomed by a nurse in the department, who takes you to see the doctor. The doctor will examine you to assess your condition and decide on the course of treatment. During your stay, you will meet the professional and dedicated medical team, who will listen to you and help you with any problem, support and encourage you, and in short, do everything to help make you feel better. If you feel like a special treat, or if you have a question, don’t be shy to ask the nurse, who will be happy to help you. The doctors will come to check on you twice a day in order to hear how you are doing and to decide on continuing treatment. What about my parents and friends? If you feared for a moment that you would miss your parents - you have nothing to worry about. Your parents can be with you in the hospital all the time and even, if you like, they can sleep with you in your room. Your friends are also invited to come and visit anytime you are not resting or busy, and you can play with them just like you do at home. Will I have a room? Of course you will have a room! Not just any room, but a room with your own bedside table and small cabinet, and even with adjoining washrooms and showers (just like in a hotel), so that you can spoil yourselves and enjoy your needed privacy. We will also ensure that youngsters of your age and gender will be in the same room so that you can chat together in a comfortable atmosphere. You will enjoy nutritious and varied meals that taste almost as good as mom’s cooking! If you would like to munch on something else, no problem! We have a terrific cafeteria with sandwiches, snacks, candy and hot and cold drinks. So, bon appetit! You will never be bored at Schneider Children’s. You can play and enjoy yourselves during the entire day according to your treatment schedule. Do you like to play? Do you like to draw? Do you like to watch movies, play on the computer or surf the internet? Believe it or not, you can do everything here. There are three rooms set aside just for games and enjoyment, which are open all day. You will have such a great time there that you wont want to stop playing! Educational Activity Room – In every department, there is an educational activity room (classroom) which has many games, study corners, crafts, music, computers and facilities for writing. You can play here with your friends, do your homework together with Schneider’s teachers or just read a book for enjoyment. The teaching staff will also help you understand strange medical names and help you prepare for medical procedures. The Starlight Room on the 3rd floor is open on Sundays to Thursdays from 09.00-19.00, and on Fridays from 09:00-13:00. Here, educational and social activities take place, such as movies, entertaining performances story-telling hour, video-conferencing, surfing the internet, multimedia games with the latest accessories and of course computer games. Computer and Communications Room – Do you like computers and multimedia? On the 6th floor of the medical center, at the end of the passageway, there is a room just for you. 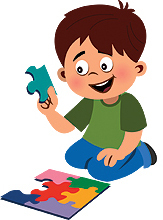 From morning to afternoon, you can enjoy brainteasers and educational programs, study computer skills, surf the internet, conduct video conferencing and enter information sites. And that is not all: creative workshops also take place in the computer room for digital photography or making movies and you can even connect to different schools via computer. Of course there is much more at Schneider Children’s, but if we tell you everything, there will be no surprises. We will make every effort to ensure that you will have a pleasant stay with us and that you get well quickly.